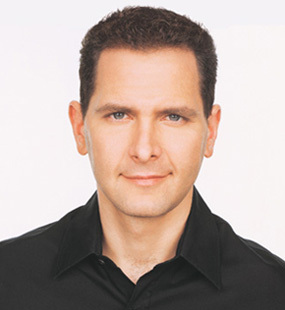 Craig Kallman, who has worked at Atlantic Records since 1991 and has been Chairman & CEO since 2005, has been one of the music industry’s top label and A&R execs for the past two decades. He helms a very impressive roster at Atlantic, which includes such diverse artists as Bruno Mars, Jason Mraz, Flo Rida, Skrillex, T.I., Cee Lo Green, Kid Rock, and the Zac Brown Band. Kallman also oversees Atlantic’s partnership with several successful record labels such as Fueled By Ramen, Roadrunner, Canvasback, Photo Finish, and Chop Shop. Kallman, who is based in New York, has been a longtime music entrepreneur, music aficionado, and notable record collector. He became a prominent DJ in Manhattan as a teenager, and then launched his own label, Big Beat Records, after graduating from Brown University. Having built Big Beat into a top indie, he accepted an offer from Atlantic Records to purchase his label. He became Vice President of A&R at Atlantic, while continuing to oversee Big Beat. Upon joining Atlantic, Kallman established his A&R credentials by signing and A&R-ing several hit artists, including Notorious B.I.G., P.O.D., Aaliyah, Brandy, Timbaland, Lil’ Kim and Junior M.A.F.I.A. He also brought to Atlantic the hit Space Jam soundtrack album, which included R. Kelly’s classic hit, “I Believe I Can Fly.” Kallman was later promoted to the positions of Senior Vice President of A&R, Executive Vice President of A&R, and then President of Atlantic Records, before becoming Chairman/CEO of Atlantic in 2005. During the past decade, Kallman has guided Atlantic to worldwide success in many genres, with such hit artists as Bruno Mars, T.I., Sean Paul, Lupe Fiasco, Flo Rida, Paramore, B.o.B, Skillet, Switchfoot, Jason Mraz, Kid Rock, Matchbox Twenty, Rob Thomas, Trey Songz, Death Cab For Cutie, Missy Elliott, Wiz Khalifa, Zac Brown Band, Shinedown, Gnarls Barkley, Cee Lo Green, fun., Jaheim, 3OH!3, Shinedown, Estelle, Skrillex, and Janelle Monae. Notably, Kallman has also become a renowned record collector, acquiring albums by a wide range of artists. He has one of the largest personal record collections, with about 500,000 vinyl albums and 75,000 CDs, not to mention a major collection of music memorabilia. We are pleased to present this Q&A interview with Craig Kallman. He discusses how he got started in the music business, how he built Big Beat Records, his impressive two decades with Atlantic Records, and his creative A&R team at the label. DK: Where did you grow up, and how did you get into the music business? Kallman: I was born and raised in Manhattan; I grew up in the city and I loved collecting records. Fortunately, my dad had a wonderful, very eclectic record collection that I would listen to. My dad was not in the music business — he was an attorney — but he was a big music fan. He had very diverse musical tastes. So at a young age I had broad exposure to a wide range of music — everything from Taj Mahal to Randy Newman to Hot Tuna, to the Beatles and Mozart. DK: Did you play any instruments? 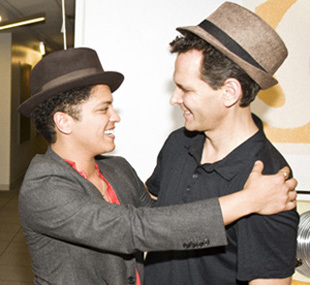 Craig Kallman (right) with Bruno Mars. Kallman: I tried playing a lot of instruments in school, but really never found learning a craft of an instrument my calling. I just had a huge appreciation and love of music. I was a devourer of all genres of music. I would frequent the record stores every Saturday — I’d go to all the downtown Mom & Pop record stores. That became my weekend routine, which it still is today, by the way. I would go to a shop that had house music, to the rap store to the alternative store to the punk rock store, and buy all the new releases. I also liked to discover old stuff at Tower Records. Then when I was 16, I had the fortunate opportunity to be the DJ and book a dance hall for a school prom. It coincided with me running into a DJ named Richard Vasquez at 99 Records store, and we struck up a conversation. We were both looking for some obscure records at 99; he was a big DJ in New York who was working in a lot of the after-hours clubs. We struck up a friendship and he invited me over; I apprenticed under him, learning how to DJ. For the school dance, I had put together a demo tape, so I dropped it off at a club called The Mansion. Soon after, I got a break — the club called me to DJ because their regular DJ couldn’t make it. This gig got me started, and I used that experience to shop myself around to other clubs in New York. I ended up getting a DJ gig at the Cat Club. DK: Was there any under-age restrictions at these clubs? Kallman: There were, but I was somehow able to hustle my way in, even though the drinking age was 18. I ended up doing well enough at the Cat Club that I started getting work at other clubs. Eventually I was DJ-ing at Danceteria, The Tunnel, The World, Area, The Palladium, Limelight, and other big nightclubs in New York as a teenager. I would go to high school during the week and then work in the clubs on weekends. I also worked part-time at the New Music Seminar, Rockpool, and for the Dance Music Report. DK: After high school, did you attend college? Kallman: Yes, I went to Brown University to get a liberal arts education, and I was thinking that I would probably have to go to business school afterwards. But at Brown I worked for the radio station WBRU, and I got a job as a college rep for CBS Records. So I would take around all the CBS acts that would come to the area (Providence, Rhode Island and Southern Massachusetts). I also started throwing parties at Brown and working at nightclubs. When I graduated from college, I got a job at Billboard magazine working in the chart department, and I also worked at Factory Records. These jobs would pay about five dollars an hour. I would work during the day and then I’d DJ at clubs until late at night. Then on Saturdays during the day, I still did my regular routine of going to all the Mom & Pop record stores. One day I happened to hear a track that I loved. I said to the sales clerk, “Hey can you give me two copies? I want to play that in the club.” He said it was a demo tape and not a record. So I said, “Who did that demo?” They told me it was some kid. I said that I would love to get his number so I can track it down ‘ it was so good that I wanted to turn that it into a real record. Pictured (l-r): Michael Kyser, Atlantic Records President of Black Music; Trey Songz; Julie Greenwald, Atlantic Records Chairman & COO; Craig Kallman; and Trey’s manager Kevin Liles. Also while I was in the record store, I spotted a poster of an artist named Taravhonty on the wall, and I thought he would be great to sing on the demo (which was an instrumental track). So I was able to track down the singer and the writer, who then came to my house and we loaded up some equipment. We set everything up in my bedroom and I wrote some lyrics. And we pounded out this New York house record. DK: Would this record become your first release on your label Big Beat? Kallman: Yes. I thought that instead of just playing the song in a club, I would create a label and put it out. I came up with the name Big Beat Records, and then I bought a book called This Business of Music (which was a music industry bible at the time). I learned how to sign up Taravhonty as the artist and manage him. I also figured out how to be the music publisher. To promote the record, I literally borrowed a shopping cart from a supermarket. I loaded up the first five hundred records, and I pushed the cart up and down the streets of Manhattan, going to all the Mom & Pop stores. I bought an invoice book at the drugstore, and gave an invoice to each record store on consignment. I said, “Here’s 25 records — the price is two dollars a record. Just put the records on the wall and I’ll run around and promote it.” Then I ran around to all my DJ friends at the nightclubs and gave them a free copy. Then I went to the magazines and radio stations and everywhere to promote it. At the time, I was still working my day jobs at Billboard and Factory, and I would come home at night and check my answering machine. There would be messages from the record stores saying, “Hey, we sold out of your 25 copies, can you bring 25 more?” And then I started getting calls from the Bronx, Brooklyn, and Queens. So I started borrowing my dad’s car and driving around the boroughs, going door-to-door. DK: How did your first record do? Kallman: The first record (“Join Hands” by Taravhonty) sold 5,000 copies, and I thought, if I can do this three more times I can make $20,000 per year and I can just do music — I don’t have to go to business school. Soon after, I was in The Tunnel DJ-ing one night, and a kid called Kraze said, “Hey, you’re playing my record.” I asked if he was still signed to a record label, and he said no. So I said, “I’d love to make a record with you. Let’s go into a studio.’ He said sure; he had heard of Big Beat Records and knew the single “Join Hands.” So we went into the studio and came up with a line called “Y’all Want This Party Started” and we created a house record out of it. 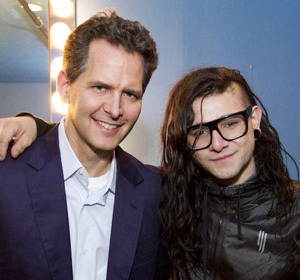 Craig Kallman (left) and Skrillex. DK: Did you produce this record? Kallman: Yes. We created the Kraze record in the studio and put it out, doing the same routine — the shopping cart and the trunk of my dad’s car, and driving to the boroughs. This time it was even better — it sold out in the first weekend. Then all the stores called and said, “Hey, you’ve got to bring in another 25 copies.” And then I started getting calls from Boston, Washington D.C., then from Miami, Texas, and California. Before I knew it, I was spending every night filling out C.O.D. postal slips to every Mom & Pop store in the country. Soon after, I started getting calls from England, France, Germany, Australia, and Italy, and they wanted to license it. And then music publishing companies started to call. So in a very short time I got a crash course in the U.S. and global record business. I would also get calls from nightclubs. Since I was the de facto manager, Kraze and I would jump on a plane and travel to Italy, and he would perform the song, and then travel up and down France. We’d also run across the U.S. “The Party” ended up selling 300,000 copies, so it was a clear sign that I could quit my other jobs and run Big Beat full time, if I could keep the hits coming. DK: Who were some of your other artists on Big Beat? Kallman: I signed a group called Jomanda and we had the hit “Make My Body Rock.” Then I signed (dance/pop artist) Tara Kemp from San Francisco. Soon after, I got a call from (top manager) Irving Azoff. He said he had just started Giant Records, and “I love this Tara Kemp song, ‘Hold You Tight’, and I think it could be my first hit for Giant.” So I did the deal with Irving. DK: How did you end up joining Atlantic Records? Kallman: I had put out the record “Got A Love For You” by Jomanda, and then I got a call from Doug Morris (then Co-Chairman of Atlantic Records). 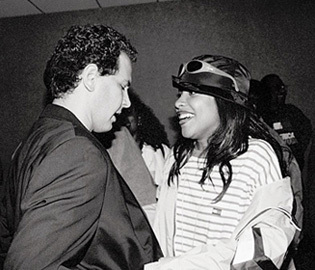 He said, “I love this record, and I keep seeing all these Big Beat records on the charts and all over the radio — I would like to meet you.” This was in 1991. As it turned out, both Doug and Irving wanted to buy my label and bring me into their companies. I picked Atlantic — I loved the label’s history; I grew up listening to Led Zeppelin, Aretha Franklin, and Otis Redding. Also, Atlantic Records was based in New York, where I lived, whereas Giant was on the West Coast. Doug said, “I’m going to teach you the record business on a major label level — come work directly for me. You’ll be Vice President of A&R (at Atlantic) and you can still do your Big Beat thing.” So I went to Atlantic, and I’ve been here for 20 years now. DK: Who were some of your first artist signings at Atlantic? Kallman: I signed Notorious B.I.G. — I gave him a label deal. I also signed Junior M.A.F.I.A., Lil’ Kim, Aaliyah, and Timbaland. I brought R. Kelly in to produce records for us, and he produced (R&B group) Changing Faces. Then I brought in the Space Jam movie soundtrack deal and R. Kelly produced and wrote the hit “I Believe I Can Fly.” Then I signed (platinum hard rock band) P.O.D., and I A&R-d Brandy and other artists. I also brought in (hit producer) Rodney Jerkins, who produced several hit records for us (including Brandy & Monica). I signed Sean Paul and Shinedown in 2002 and T.I. in 2003. DK: Was it in 2004 that there was a shift at Atlantic, because the Warner Music Group had been sold? 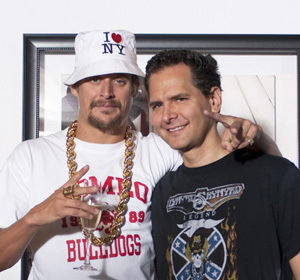 Kid Rock (left) and Craig Kallman. Kallman: Yes, eight years ago we went through changes. Warner Music Group (which had been owned by Time Warner) was sold to Edgar Bronfman and private equity investors. And then Lyor Cohen came in (as Vice Chairman of Warner Music Group). He promoted me and partnered me up with Julie Greenwald (Atlantic Chairman/COO), and we really started building the new Atlantic Records. We focused on 360 deals (where a label promotes all interests in an artist, including touring, merchandising, and publishing), a much smaller artist roster, and a much more focused release schedule. And since then we’ve been on a terrific, exciting run. DK: Was it also in 2004 that Elektra Records merged with Atlantic? Kallman: Yes. We merged the companies and we retooled the organization, and we really tried to be a forward-thinking, digital company, while building a 360 organization. We needed to change our DNA and makeup — from a CD-selling company to a broad-thinking music company. DK: At Atlantic, you seem to have such an impressive, wide range of artists on your roster. Kallman: The important thing to me is that I always felt Atlantic had a great cross-section of musical styles. So I always felt that if I could bring in the “best in class” artists in multiple genres, and if we had the capacity to work those artists successfully, that’s how we would build the new Atlantic. That’s why (in 2008) we decided to get back into country music. We aggressively went after and signed the (platinum group) Zac Brown Band. Signing Zac helped launch Atlantic Nashville Records. We’ve also signed another artist named Hunter Hayes who we’re super-excited about. DK: Atlantic is now involved with electronic music, too. Kallman: We saw the electronica space really blossoming, so I reactivated Big Beat Records a few years ago and brought in a terrific general manager, Liz Miller, and assembled a great staff there. Skrillex was our first signing to the new Big Beat, followed by Martin Solveig and DJ Chuckie. DK: And in recent years, Atlantic has remained strong with pop, urban, and rap. Kallman: We’ve obviously continued on the rap side, with T.I., Flo Rida, Lupe Fiasco, Sean Paul, and B.o.B. And on the urban side we have Trey Songz, Janelle Monae, and Cee Lo Green. We had originally signed Gnarls Barkley via Downtown Records, and we’ve now signed Cee Lo separately to Elektra/Atlantic. And then on the pop side we have great artists like Bruno Mars, Jason Mraz, and Rob Thomas. And I have to mention our fantastic rock roster, with Kid Rock, Death Cab For Cutie, Paramore, Shinedown, and Matchbox Twenty. We’re just trying to be very vital in every category of music. We’ve now got (the pop/rock trio) fun., which is via John Janick’s label, Fueled By Ramen, which has been a terrific success. He’s done an amazing job building Fueled By Ramen. We also have the new Elektra Records run by John and Mike Caren (co-President of Elektra & Executive Vice President of A&R at Atlantic). 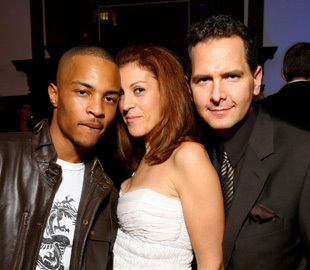 Pictured (l-r): T.I., Julie Greenwald, and Craig Kallman. We’ve been able to identify some great creative executives like Pete Ganbarg (Executive Vice President of A&R), Mike Caren, John Janick, Steve Ralbovsky (President of Canvasback Records) who’s got Grouplove, The Joy Formidable, and Fanfarlo; Matt Galle (who’s got Photo Finish Records) with 3OH!3. We also have a label imprint with (top music supervisor) Alex Patsavas of Chop Shop Records, which has the (multi-platinum) Twilight soundtrack franchise. So I think Atlantic has also become a haven for young, entrepreneurial executives — it’s really important to build cultural entrepreneurs. DK: Do you think, with your background as an entrepreneur and indie label owner, that part of your strategy as Chairman of Atlantic is to find the new entrepreneurs? Kallman: Yes, absolutely. It’s essential to find the next generation of record men & women. DK: A few years ago, I read that Atlantic announced that its digital sales had surpassed its CD sales. Was that true? 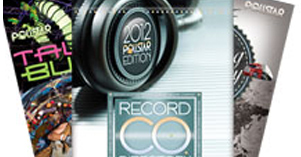 Kallman: Yes, we were definitely the first label to have our digital business explode and eclipse our physical sales. And we’re the first label to really pioneer and aggressively build a 360 strategy. DK: Is it mandatory when a new artist signs with Atlantic, that they need to sign a 360 deal with you? Kallman: It’s really core to our belief in how we can most effectively market and promote artists today. This allows us to offer the consumer whatever they want, whenever they want it, and however they want it. So if a consumer wants a digital download single and a T-shirt, or if they want a concert ticket and an album, or if they just want the fan club and the live experience — we can give it to them. Everybody wants something different. Our ability to do a 360 deal, and then cater to whatever the consumer wants, is key for us. DK: Overall, how do you think the music business is currently doing? Does it look more promising? Kallman: It’s doing better. Fortunately for us, we’ve been growing our business every year. We’ve had some very good years, even during some really tough times in the industry. It’s encouraging to see that the decline has leveled off, and to see artists like Adele, Bruno Mars, and Lady Gaga do some stunning, big business and make really important, meaningful albums. We need to keep the bar super-high and make great albums, and put our heart and soul into the entire body of work that gets created and sold. The consumer now can cherry-pick what they want. They don’t have to buy the whole CD just to get the one song they like. You’ve got to make every song count. I think we’re in a business that is getting healthier, because we’ve been weeding out a lot of the bad habits, and making everyone have to be that much smarter, more efficient, more on the cutting edge, more proactive and progressive. So I think it’s definitely separating the wheat from the chaff. It’s a tough climate, but it’s an invigorating and challenging one. I think the key now is to keep evolving and staying ahead of the curve — never resting on one’s laurels and constantly innovating. Pictured (l-r): Craig Kallman, Death Cab For Cutie, and Sam Riback (Vice President of A&R, Atlantic Records). DK: Bruno Mars has become of the biggest stars in the music business. How did you sign him to Atlantic? Kallman: We have a terrific A&R executive, Aaron Bay-Schuck. He found Bruno and really identified him as a great songwriter and performer. Fortunately we were able to sign him, and he’s been just an amazing, creative force for the company, both writing and creating hits for other artists on our label, as well as building a beautiful career for himself. We’re super excited about his next album — he’s in the studio now. DK: I know you have management duties as Chairman, but do you also still work creatively on certain projects? Kallman: Yes, I love to go wherever the artist is in need, or welcomes input of any kind. Wherever I can participate in the creative process in any way, or just be a sounding board, it’s great to be able to help contribute to the musical process. DK: Do you look for songs on certain projects for your artists? Kallman: Sure, I love talking to songwriters and producers, and I love being open to discovering a great new song from a submission. So all of us on the creative staff are constantly in contact with writers, producers, and publishers to find new songs. We’ve created a very proactive, aggressive A&R team that is always trying to contribute to their artists’ needs. DK: Your two top A&R execs (Heads of A&R) are Pete Ganbarg and Mike Caren. Who are your other main A&R execs? Kallman: We have Pete and Mike and John Janick, and we have a slew of great executives: Steve Robertson A&Rs Shinedown and Paramore; Aaron Bay-Schuck works with Bruno Mars and helps with Flo Rida and many other projects. Everybody contributes to many artists. Sam Riback does A&R for Jason Mraz and Death Cab For Cutie; Chris Morris works with Skrillex; Gregg Nadel works with Zac Brown Band; Zvi Edelman works with Wiz Khalifa and Sean Paul; Darrale Jones A&Rs Lupe Fiasco and Jaheim; and Andrew Luftman works with 3OH!3 (with Matt Galle) and Portugal The Man, and he A&R’s Sean Paul with Zvi Edelman. DK: As CEO of Atlantic, it’s impressive that you can oversee so many different genres of music. Kallman: I still have the love for the music, and the voracious desire to devour what’s new, exciting, and important. I try to stay current, buying all the new releases every week and listening to everything that comes out on all the other major labels and the independents. I try to stay in tune with every genre as much as I can. DK: I’ve heard good things about your Atlantic Studio in Los Angeles (in the Edmonds Building in Hollywood). One music writer said the studio has a new Brill Building atmosphere. Kallman: Yes, we have five studio rooms going. The idea is simply to take a page from the history of the great music companies of all time. There’s the tradition of Atlantic and Motown Records — they were rooted in very rich studio environments and musical hotbeds. These were places where artists, songwriters, producers, musicians, and engineers were all mixing and mingling and making things happen. And that’s what we’re trying to create every day at Atlantic Studios. Mike Caren supervises all the sessions and collaborations at the studio. DK: Do you have a counterpart studio in New York? Kallman: In New York, we don’t have an actual studio complex like we have in Los Angeles. But we’re talking now about setting it up. DK: I’ve heard that you have a very large, personal collection of vinyl albums. Is that true? Kallman: Yes — I have about half a million vinyl LPs. I’ve loved chronicling the history of music, starting when I was growing up. DK: Why vinyl albums, rather than CDs? Kallman: I love vinyl albums. When CDs first came out, I was horrified how they sounded versus vinyl. So I wanted to discover all new music on vinyl instead of CD. I’ve tried to get almost every important album made on vinyl, so I can enjoy the music as the artist intended it to be heard. In my childhood years, I would make lists of every album in many genres, from Miles Davis to Fela Kuti to Parliament/Funkadelic; I would scour the earth for their entire discographies. I did that in every genre — jazz, folk, blues, rock, reggae, etc. Kallman: I’ve got about 12 or 13 rooms at a warehouse where Sotheby’s and Christie’s store a lot of art. And next to my apartment, I’ve built a recording studio which has a listening room, and I’ve put about 25,000 of my favorite albums there that I kind of rotate. It’s fun for the Atlantic artists to come to the house and hang out in the listening room, where they check out the collection. DK: You’ve had such great success, both as an Atlantic exec and as an indie entrepreneur. What advice would you give to young people who are trying to break into the music business? Kallman: I think the key is that you need to follow your heart and find where you are most passionate, know what thing excites you the most. I think there are so many levels and there are many entry points. It’s about being tenacious and relentlessly pursuing your goals, and not taking no for an answer. And this could be in any part of the business, whether it’s starting a label, a music publishing company, a management company, being a lawyer, a booking agent, a promoter, a publicist, doing anything that gets you in the door and gets your voice heard. Secondly, it’s important that you are attaching yourself to true talent, whether it’s a songwriter, a producer, or an artist. I think the key is knowing how to recognize talent and finding the best talent out there that you have access to. And then you need to figure out how to play a role with that talent. There are so many useful ways to make yourself valuable in the business if you love it, and if you’re knowledgeable and have good taste. So have good self-awareness, with a solid understanding of where your strengths and weaknesses are, and then play to your strengths.